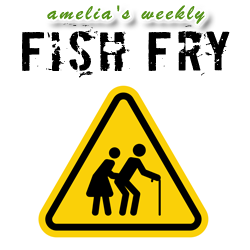 In this week’s Fish Fry, we investigate an innovative new solution called the Sensara Senior Lifestyle System from GreenPeak Technologies. This new sensor-assisted program brings together sensors and smart cloud technologies to create a service application that helps elderly people live more securely in their homes, while also providing peace of mind to their loved ones and caretakers. Cees Links (CEO – GreenPeak Technologies) joins Fish Fry to explain how this new system works and why in this case, the idea of Big Brother might not be that bad. Spoiler alert: It doesn’t use a camera!